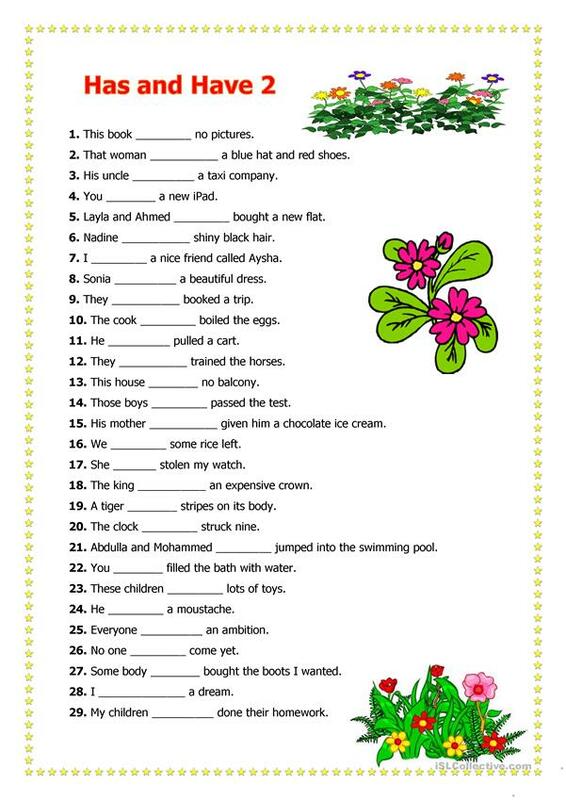 Learners are required to fill in the blanks with either has or have. The above downloadable teaching material is intended for elementary school students and adults at Elementary (A1) and Pre-intermediate (A2) level. It is a useful material for consolidating HAVE GOT or HAS GOT in English, and is excellent for developing your groups' Reading and Writing skills.